For thousands of years, people have used these key ingredients as traditional medicine to supplement their diet, immune system boosting, energy enhancement, fight infection, treat chronic disease symptoms, and strengthen brain, bone, and blood function for overall physical and mental health. Today, busy professionals and health-conscious people of all ages can use Mega Albumin Gold to live healthier lives. 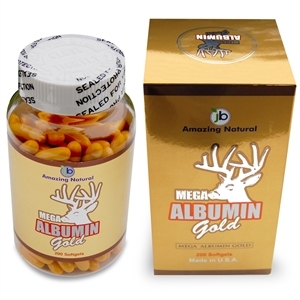 Mega Albumin Gold is good for Energy Enhancement, Immune Support, especially good for Liver Function of elder people. Mega Albumin Gold is made of 29 amazing natural ingredients and it is the most advanced formulation among the Albumin Products in the market! 등록된 상품 후기가 없습니다. 후기를 등록하시겠습니까?